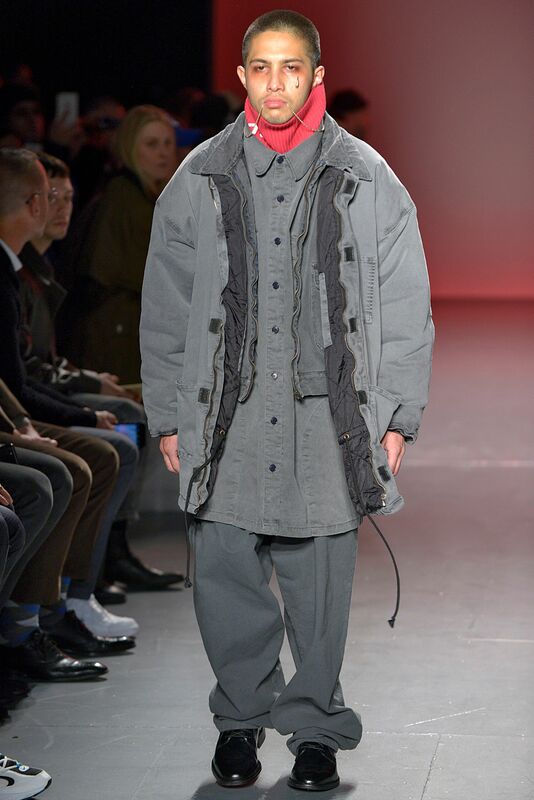 New York Fashion Week: Men’s 2018 ran over three days. 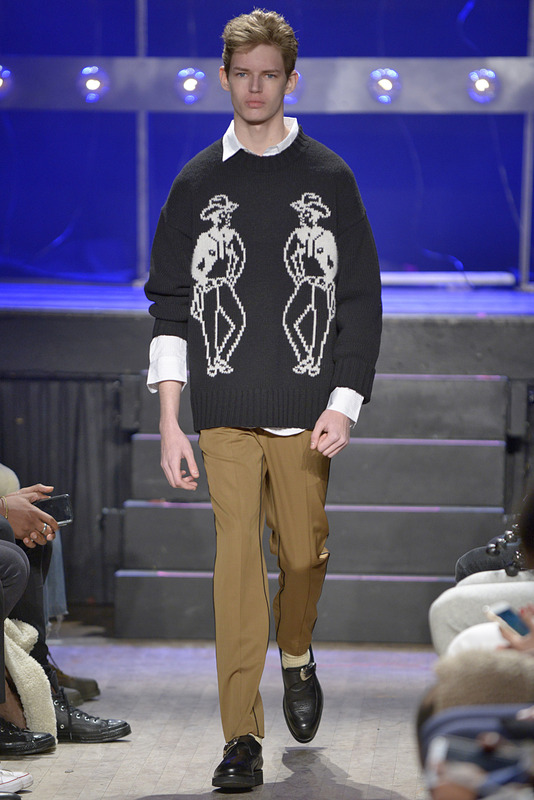 Nonetheless, in a slick show that was the climax of the roster even though it fell at the midpoint of the schedule Tuesday night, Tom Ford made his fevered case for why we still need men’s fashion shows even though, more and more, they seem headed for extinction. Of course, Tom the consummate showman didn’t stint on the drama either. Aside from some flashy underwear, Ford offered much more for peacocking men. 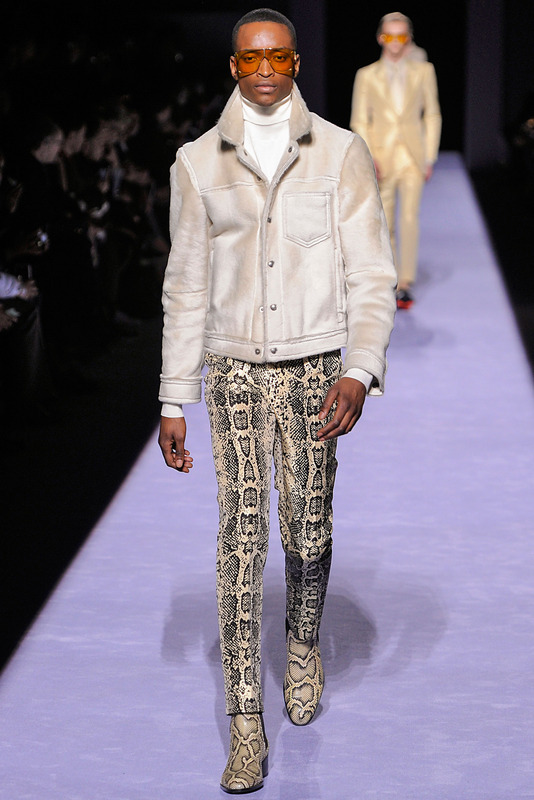 He opened with a tonal look, one of his trademarks: ivory shearling jean jacket, python-print trousers and matching rocker boots with oversize amber shades. (Never forget that Ford started his post-Gucci comeback with eyewear.) 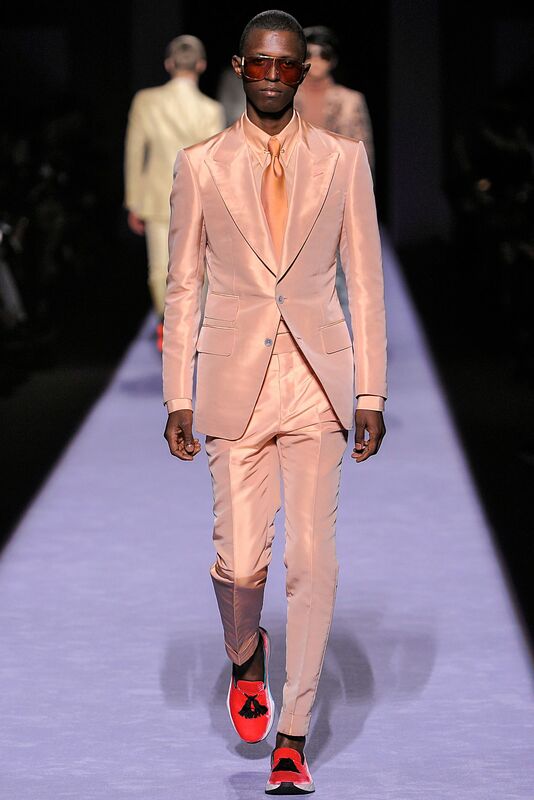 Then came his signature wide-lapel suits in shiny pink and yellow, to suit his L.A. customers in his new hometown, and gray pinstripes, which his East Coast customers will mostly buy; youthfully paired with bare ankles and a tassel loafer/athletic sneaker hybrid. 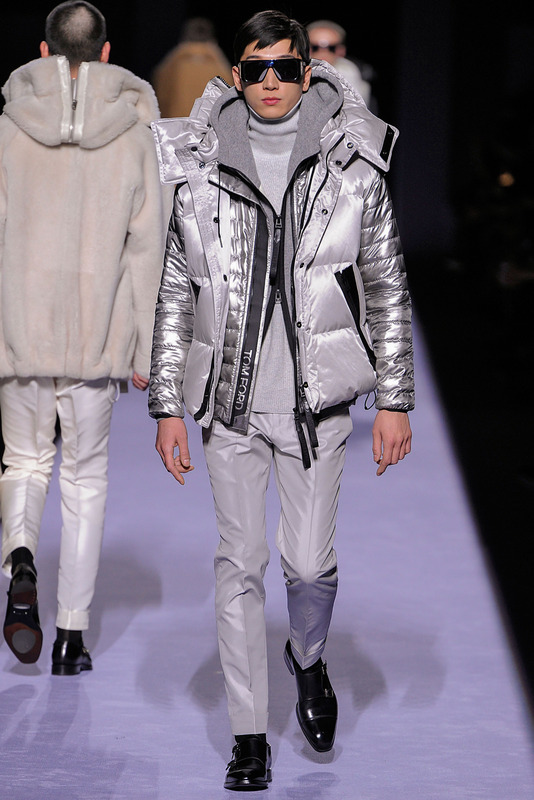 Outerwear was particularly strong and he signed off with his signature jazzy dinner jackets in printed metallics, over Lurex turtlenecks this time. Writer and gadabout Derek Blasberg said he thought the show was great afterwards.“It was smart of him to do underwear. 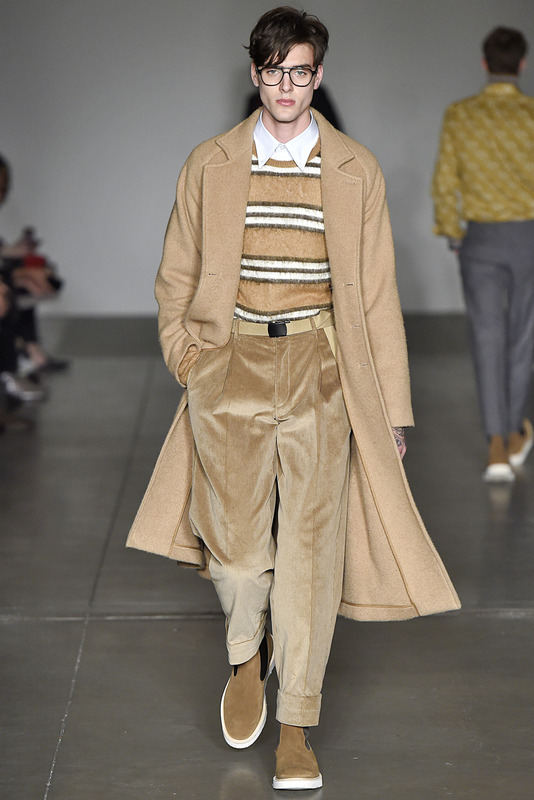 Look what it did for Calvin Klein.” He hit on a good point.Though Raf Simons is installed as Klein’s successor at his namesake house, in many ways Ford is his spiritual heir. Calvin in his prime and Ford share a love of skin, a willingness to shock and a unerring sense of how to impact the larger culture. 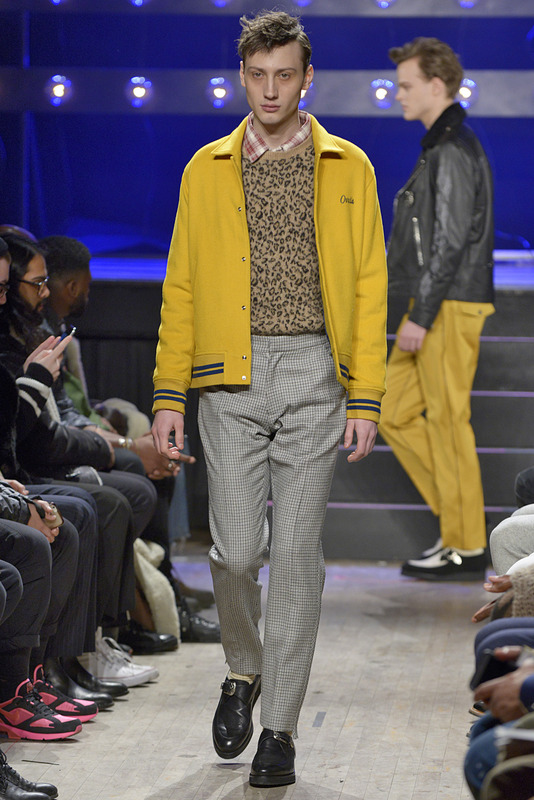 There’s another designer who’s rapidly becoming a household name in menswear, Todd Snyder, what with his numerous collaborations (Timex, Champion, British outerwear experts Private White, Trickers, Moscot) and celebrity-studded front row, including a mugging Andy Cohen, actors Darren Criss, Matthew Morrison, Aaron Tveit, and political comics Jordan Klepper and Hasan Minhaj. Snyder dubbed the collection “smart slacker” in his show notes. 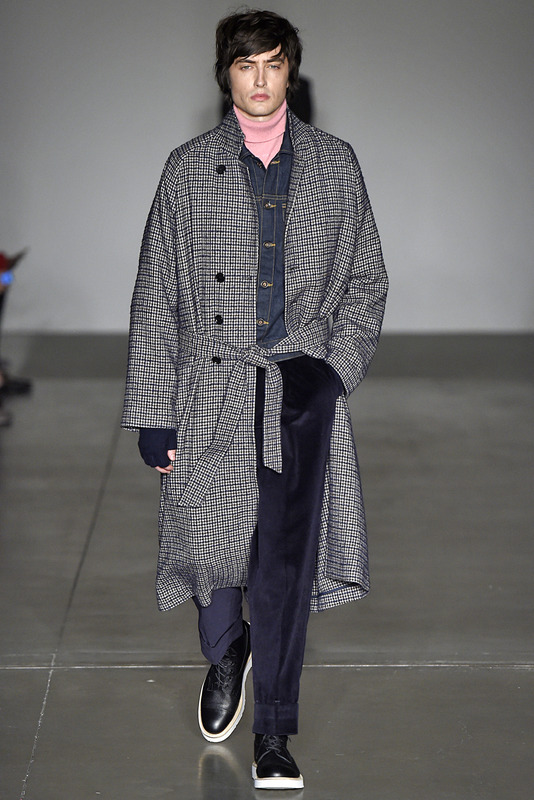 There were some amazing coats: a full-length buff shearling over a collegiate pink and gray pullover and off-white jeans comes to mind. 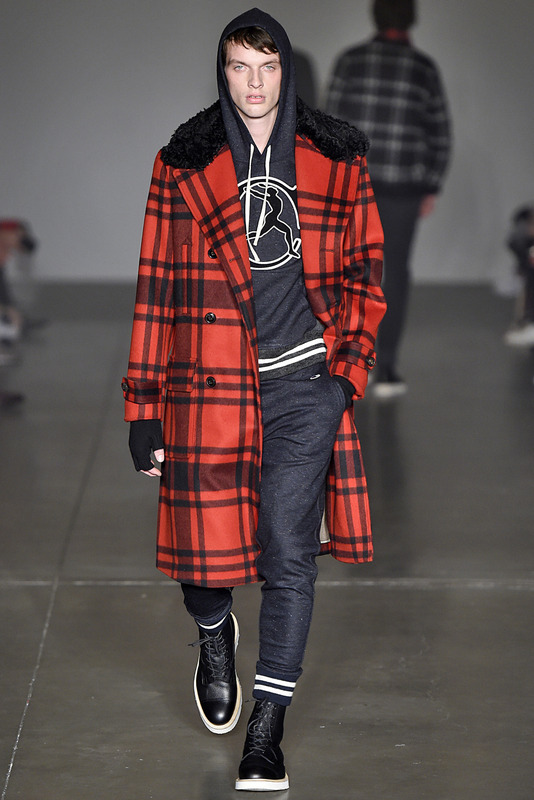 His mixes of jock-wear and tailored pieces — like a red-and-black tartan greatcoat over a hoodie and sweatpants — always look fresh. 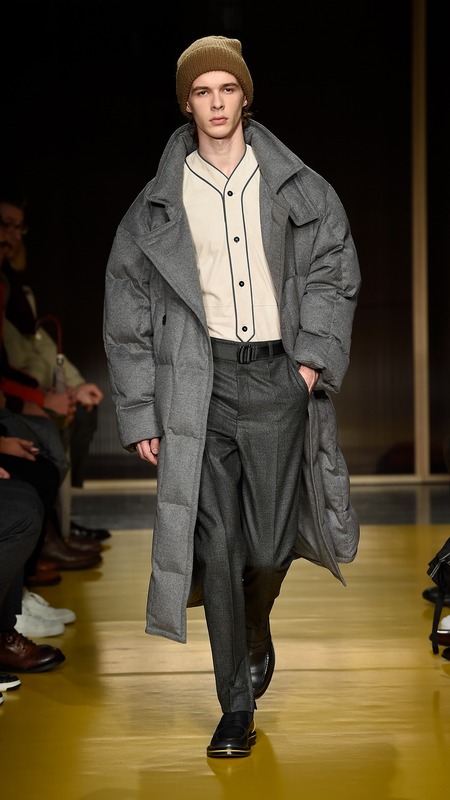 The only quibble was whether this was really the time to dabble again in schoolboy chic, but maybe taking refuge on a mythical campus was the designer’s way of dealing with the turmoil of 2018 reality. Emily Bode’s quirky homespun Bode collection is also a comfort in these times. 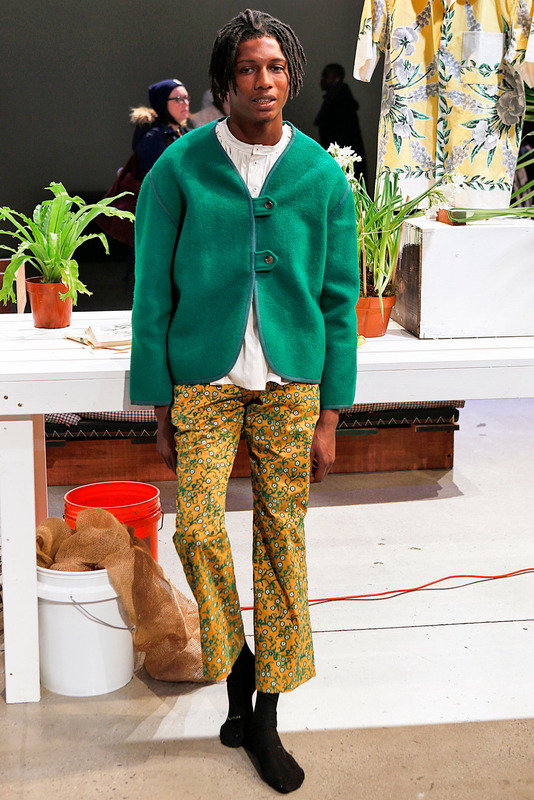 Last season, her men lolled around in bed in their faded quilt jackets and florals. 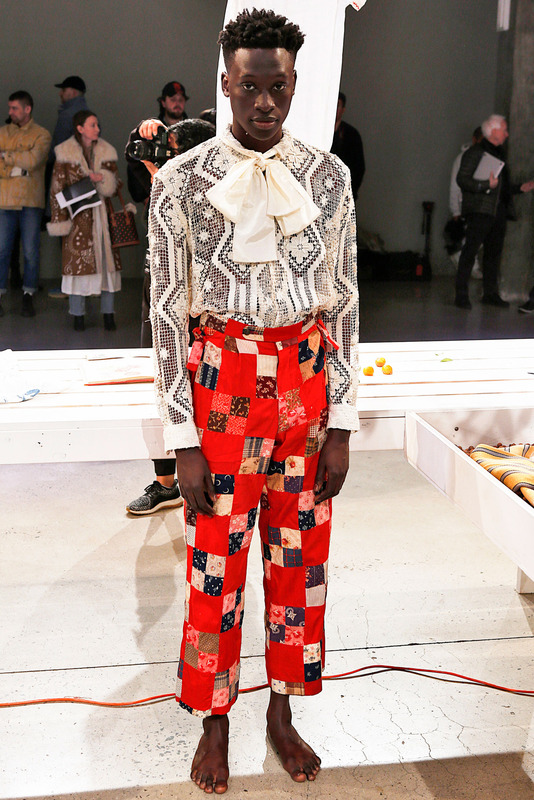 They season, at least, they were upright in old-timey patchwork suits and botanical prints, accented with foulards tied in a droopy bow at the neck. 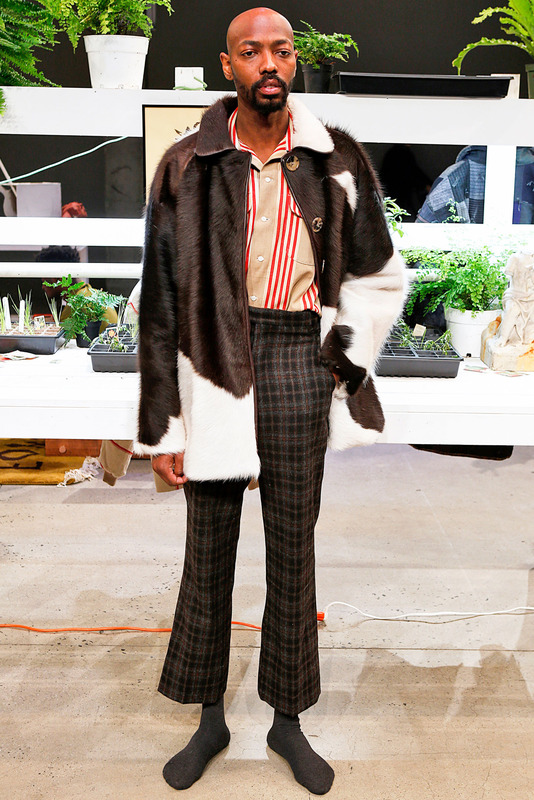 Bode said she took her cue from a botanist named Homer she knew while growing up and that his vision was “whimsical and also a little sad” in the way it relates to the world these days. 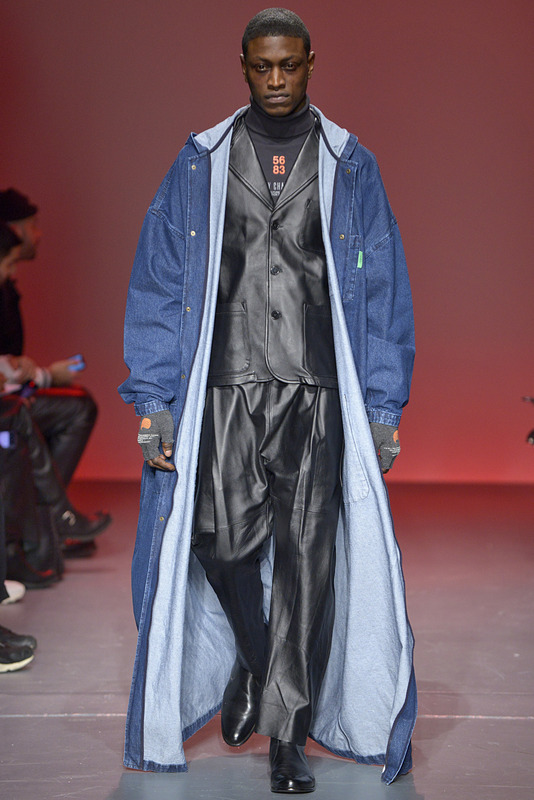 Willy Chavarria was definitely trafficking in a harder reality with his street-tough casting and workwear-inspired grays and blacks. Often bare chested and tattooed, the men also sometimes sported golden tears affixed to their faces in a plaintive silent cry. 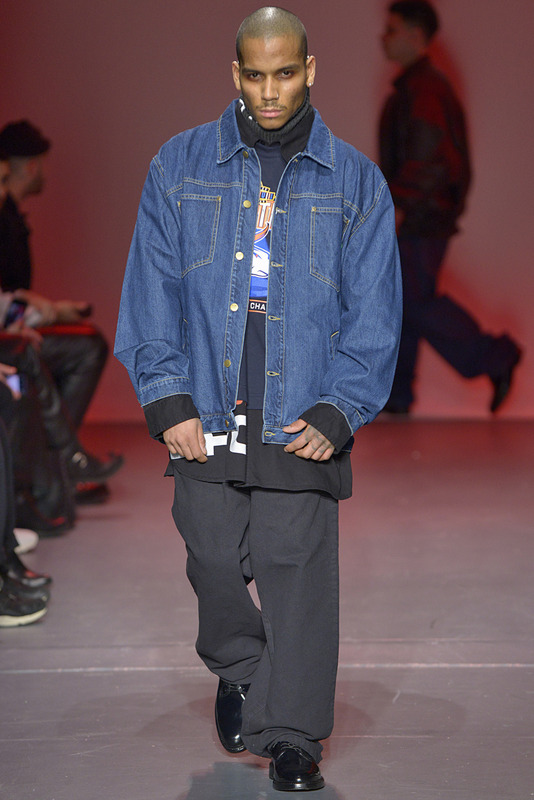 There were interesting layers, like a cropped bomber over a leather jean jacket with wide cholo-style jeans. Also notable was a long overcoat in a prison-gray, rough blanket wool worn over “Willy” tighty-whiteys (unlike Ford’s pristine underwear, they were distressed with rips and snags.) 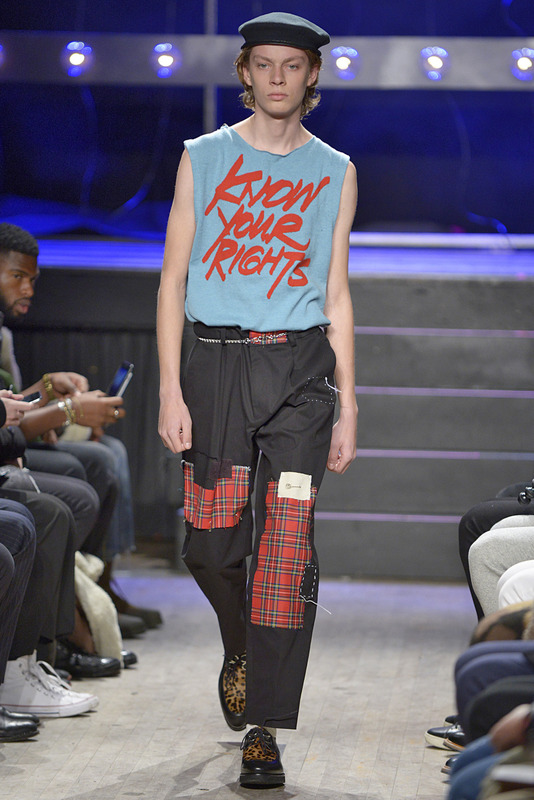 Meanwhile, grayed tees and rugby shirts in ’90s Ralph Lauren–style graphics appeared to be the designer’s own pointed take on fashion’s current logomania. 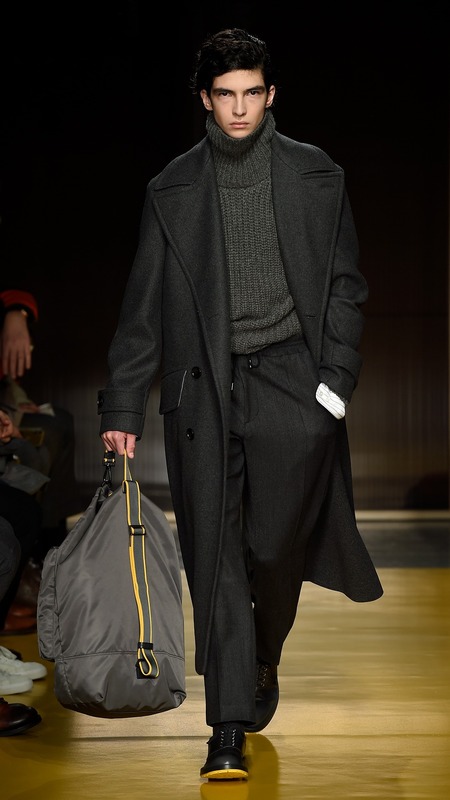 Gray is also the color of the business world, but Boss mostly left the flannel suits behind in favor of guys swathed in 50 shades or so of ankle-grazing overcoats, thickly knit turtlenecks to hunker down in and sybaritic extras like a baseball-uniform shirt in the thinnest, finest suede. 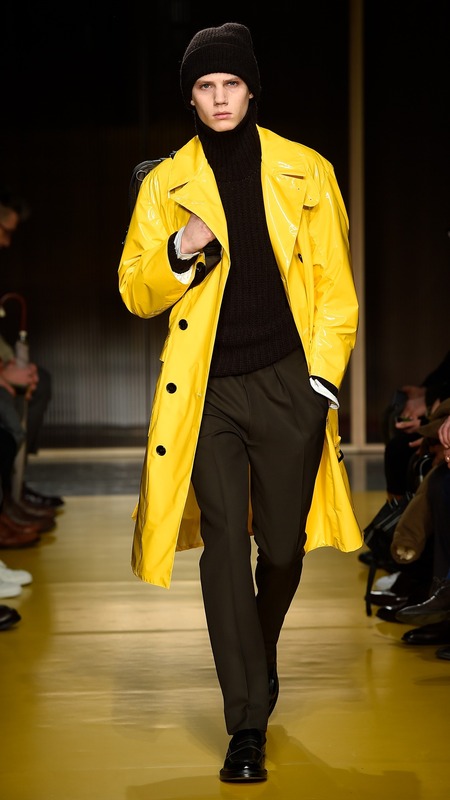 A bright yellow trench coat offered cheer for gloomy days. These days, you take it where you can find it.